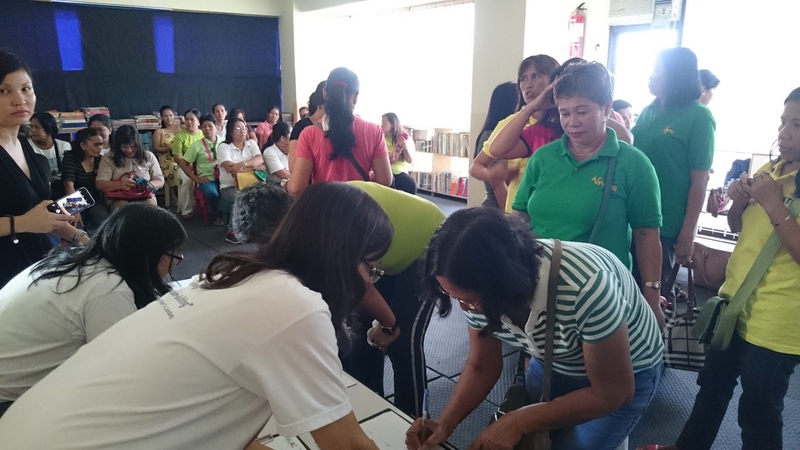 Mothers of Marikina registering for the talk. 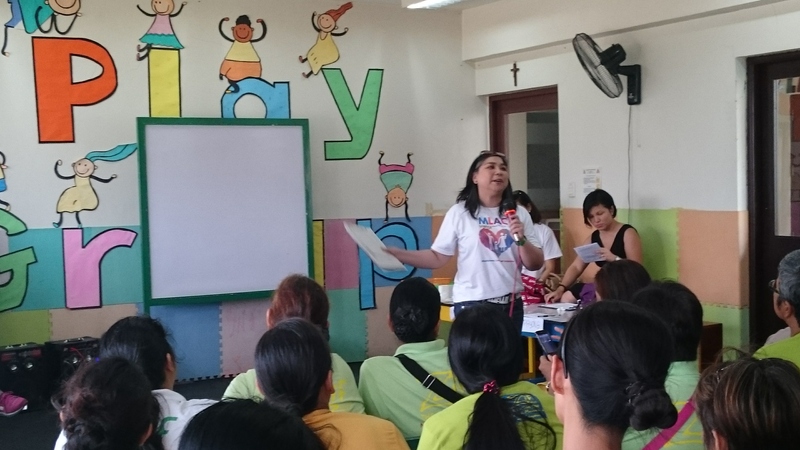 Last May 23, 2015, MLAC Institute for Psychosocial Services, Inc., in partnership with LINKS School for Life, held its annual Parenting Workshop for the residents of Marikina. 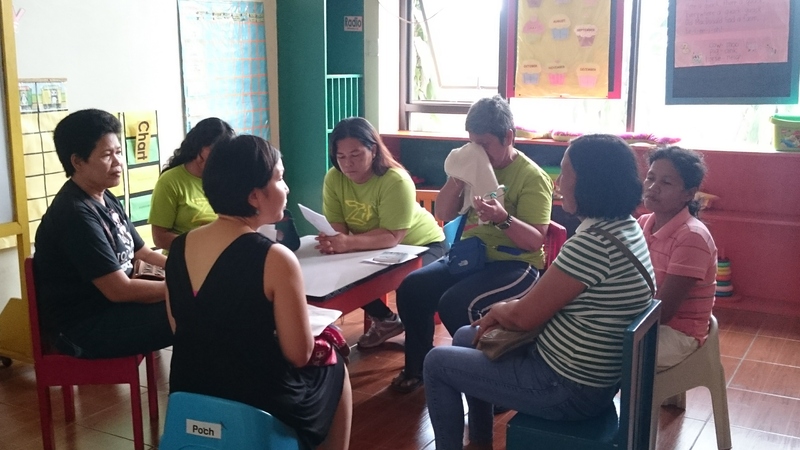 This partnership began in 2009, reaching to the residents of Marikina. 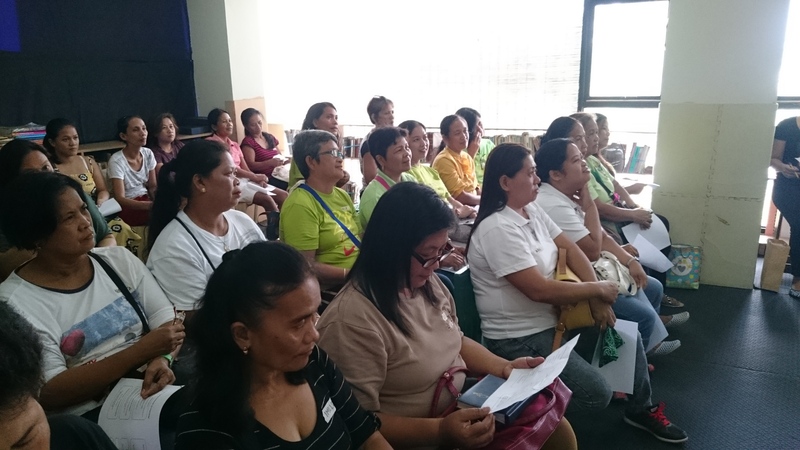 Today, this seminar now has a total of 36 mothers from four different barangays: Brgy. Tumana, Brgy. Malanday, Brgy. Pansol, and Brgy. Sittio Payong. Dr. Carandang discussing the foundations of good parenting. Mothers of all ages gathered together to listen to Dr. Ma. Lourdes “Honey” Carandang talk about the foundations of good parenting through her talk entitled “Paano Maging Mahusay na Magulang?” She discussed culturally relevant ways of deepening your connection with your children. She ended her talk with a very important reminder to all mothers, to take care of herself. This resonated much with the parents, who openly shared to one another the different ways they care for themselves during the lively discussion in open forum. 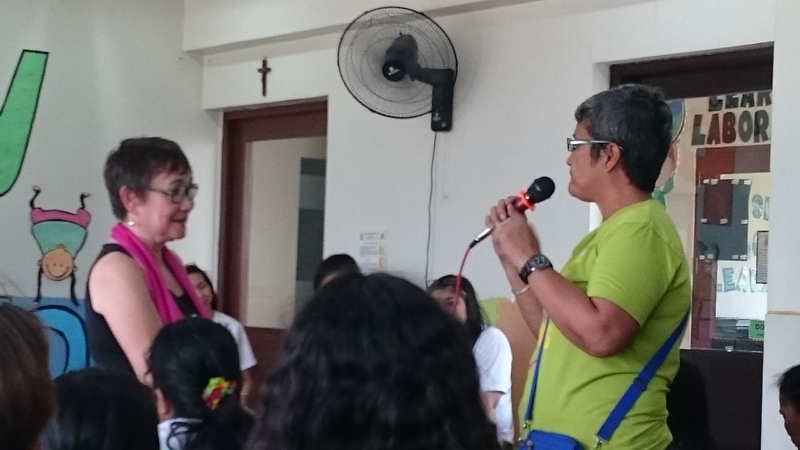 Dr. Carandang listening to a participant sharing about her ways of self-care during the open forum. After the open forum, some snacks were provided by Ms. Cecile’s team from the LINKS School. 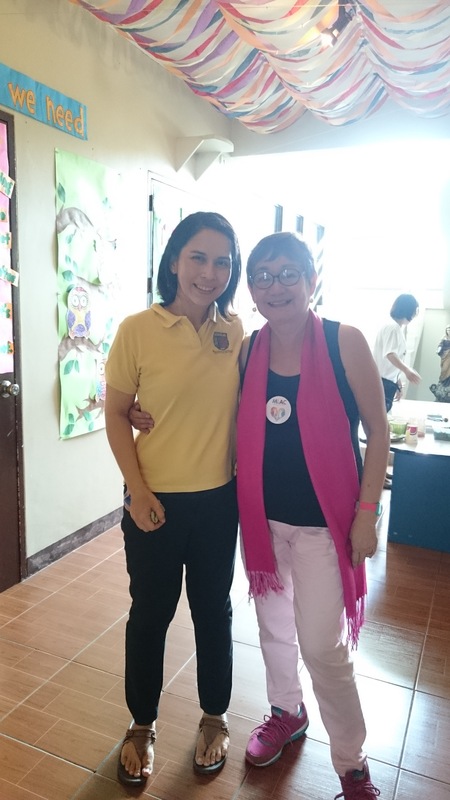 A picture of Dr. Cecile Palma-del Rosario and Dr. Honey Carandang. This was followed by small group discussions facilitated by the MLAC Team Members. MLAC facilitator Dindi in her small group session with the mothers. The entire group was then gathered again to listen to the lessons learned from each of the small groups through the integrations provided by the MLAC team members. MLAC facilitator Marisa sharing what her small group discussed to all participants during the integrations. Tita Honey gave a final integration of all the valuable lessons learned from each other that day. To close the gathering, a song was rendered by Chris, dedicated to the mothers. 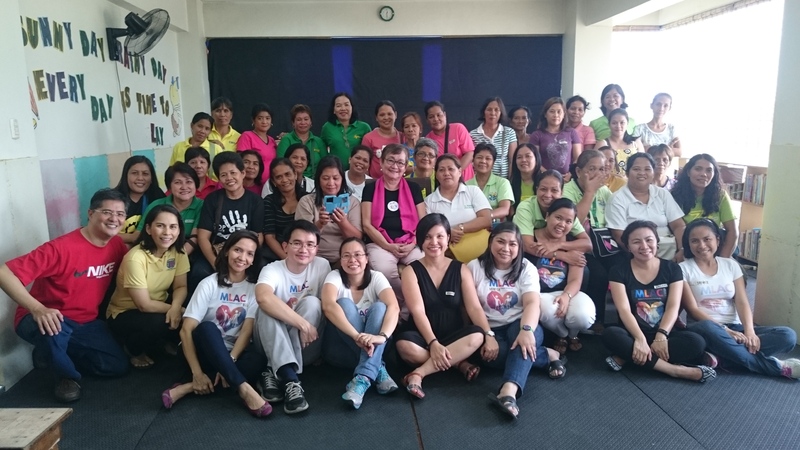 The day ended with grateful smiles, as it was once again a successful exchange of learning between the residents of Marikina and the members of the MLAC and LINKS teams. 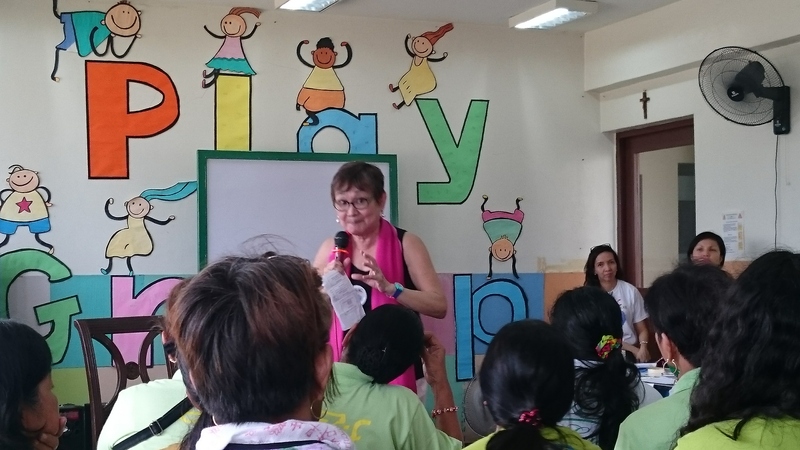 Many thanks to all those who made this event possible, and kudos to the mothers of Marikina who dedicate their love and self to their families and communities. Hi, may I know when will you organize another event for parenting? Hello po. There is one in feb.27. The details are posted in the website po. Thanks.